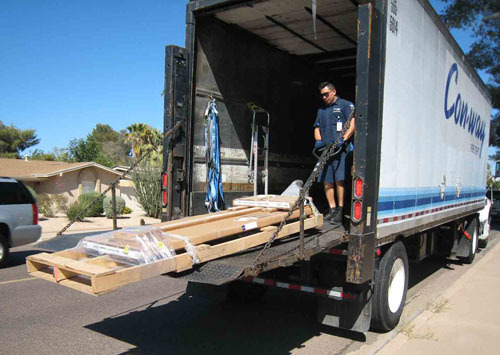 Info about curbside liftgate service offered by Butcher Block Co.
Freight carriers typically offer merchandise unloading service for an additional fee. 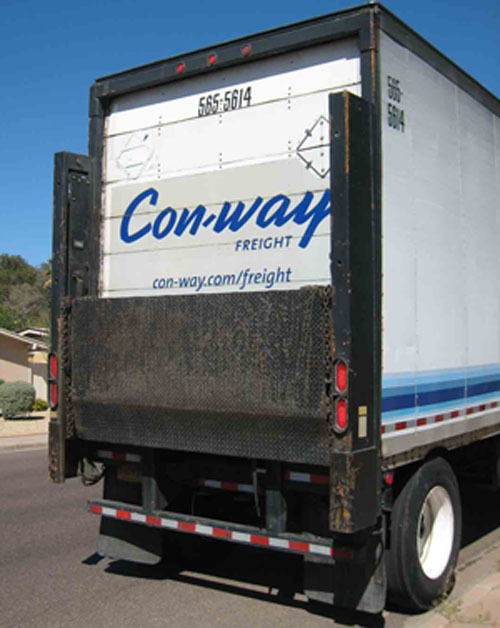 The equipment they use is known as a Liftgate. 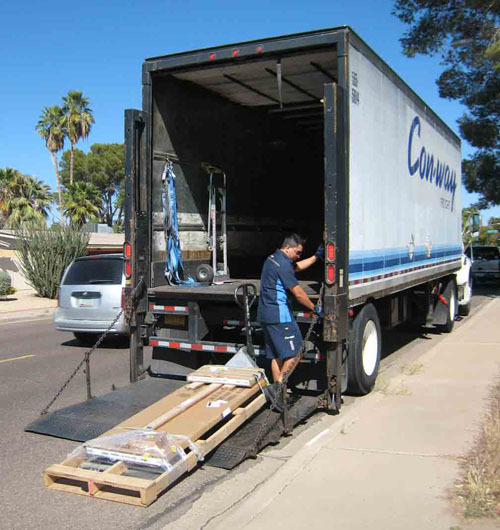 A liftgate is a moving platform system that's attached to the back of a truck and used to facilitate the movement of goods from the truck bed to the ground. If Curbside Liftgate service shows as an add-on option for a product you intend to purchase, you may add it to your order during checkout, or at a later time by contacting us. NOTE: Liftgate service only entails movement of the goods from the truck bed to the curb; not to your garage or inside your house or business.